Community News | Know Now. Live Longer. 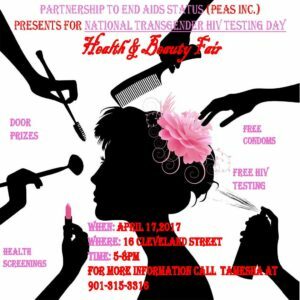 Partnership to End AIDS Status (PEAS) presents, in honor of National Transgender HIV Testing Day, a Health and Beauty Fair on April 17, 2017 from 5:00pm to 8:00pm. For more information, call Tamesha at 901-315-3316. Three Memphis Ryan White staff members were invited to make presenta tions at the 2016 Ryan White Conference on HIV Care and Treatment. This is the premier conference for comprehensive HIV care and treatment, sponsored and funded by Health Resources and Services Administration’s (HRSA) HIV/AIDS Bureau (HAB). The 2016 conference theme, Forward Momentum: Accelerating Access. Optimizing Care. Transforming Public Health., recognizes the Ryan White HIV/AIDS Program’s unwavering commitment to the National HIV/AIDS Strategy: Updated to 2020. The conference took place on August 23 -26, 2016 in Washington, DC. Jennifer Pepper, Administrator, participated in a panel discussion during the Leveraging Federal Ryan White HIV/AIDS Program and Housing Funds and Services session. Jennifer discussed the Memphis TGA’s 2011 housing needs assessment process, and the TGA’s successes and failures in planning and providing housing services. Jennifer also presented during the session Building, Improving, and Innovating to Overcome Obstacles in the Southern United States. This session highlighted the unique collaborations between the Memphis TGA and the Departments of Health in Arkansas, Mississippi, and Tennessee. Charles Kolesar, Quality Management Coordinator, presented in the session Quality Matters: Comprehensive Systematic Approaches to Quality Management. Charles discussed on with improved data collections and analysis, comprehensive education, and extensive motivational techniques, the Memphis TGA has created a sustainable and innovative quality management program. Parrish Oglesby, Planning Group Manager, presented in the session Planning Council Strategies for Integration of HIV Prevention and Care. During this session, Parrish was able to present on how the Memphis TGA used its planning bodies (prevention and care) to provide the structure and creation of one combined council that focuses of HIV prevention and care and the subsequent outcomes of that combined council. All conference presentation are available from on the TARGET Center website here. 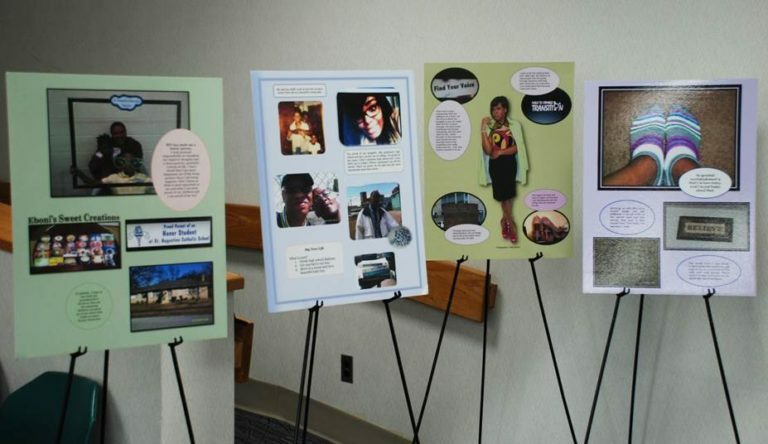 For more information on the Ryan White conference visit ryanwhite2016.org.